Purple Reign - An interdisciplinary conference on the life and legacy of Prince at the University of Salford, May 24-26 2017 Book now! All at the University of Salford are deeply shocked and saddened by the events of Monday night. Our thoughts are with all of those involved, their families and their friends. We urge everyone to come together at this time and support all those affected by this tragic event. As advised and urged by Greater Manchester Police we will be proceeding with business as usual as far as possible and will be going ahead with the Purple Reign event at all venues. We wish to make all conference delegates and audiences aware that there will be extra security measures in place at the University campus and HOME, plus bag searches on arrival at The Lowry. Please assist us by only bringing essential items with you to the venue to ensure this process is as smooth as possible. We will address the issue of Prince’s significant influence and lasting appeal from a number of multi-disciplinary perspectives. We have welcomed scholars from across the globe, covering study fields of popular music and sound, gender and culture, television, film and celebrity studies, visual arts, performance studies, and digital media. Our keynote address will be delivered by Dez Dickerson, Prince’s guitarist from The Revolution, and Prof. Sarah Niblock, co-author of Prince: the Making of a Pop Music Phenomenon. Former Stone Roses guitarist, Aziz Ibrahim will also speak on an industry panel at the world’s first conference devoted to Prince. The guitarist, who played with The Stone Roses following the departure of John Squire and has also played/co-wrote in Ian Brown’s solo band, will take part in a discussion before Prince’s 1986 musical drama Under The Cherry Moon, alongside pop culture commentator Karen Gabay and University of Salford film expert Andy Willis at The Lowry. Click here to book your attendance now. Are you experiencing problems paying for your ticket? Upon purchasing your ticket, just bring your confirmation with you on the day of your attendance. Your name will be added to our attendee list. For enquiries please contact Kirsty Fairclough on 0161 295 6060, or email purplereignconference@gmail.com. Dez Dickerson is a music business professional with over 46 years experience in all facets of the music entertainment industry, including record company President/CEO, distribution company President, artist manager, A&R executive, artist, performer, songwriter, and record producer. His rich and extensive experience includes five years as the original guitarist with Prince and The Revolution, recording tracks such as 1999 and Little Red Corvette. In the late eighties, Mr Dickerson made the transition to the business side of the music entertainment industry. Since that time, his professional history includes five years as VP/A&R with StarSong Communications (now part of EMI), founder/CEO of Absolute Records, founder of Pavilion Music Distribution, Pavilion Entertainment, and Pavilion Synergies. 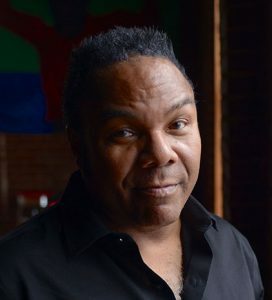 He is an alumnus of Leadership Music, and has served on the Board of Governors with the Nashville chapter of NARAS. Mr Dickerson currently serves as President/CEO of The Pavilion Group, comprised of Pavilion Entertainment and Pavilion Synergies, a strategic social marketing agency. He has released an autobiography entitled My Time With Prince, in which he chronicles his involvement in the meteoric rise of the pop icon, and is currently writing the follow up, entitled Parties Weren’t Meant To Last. 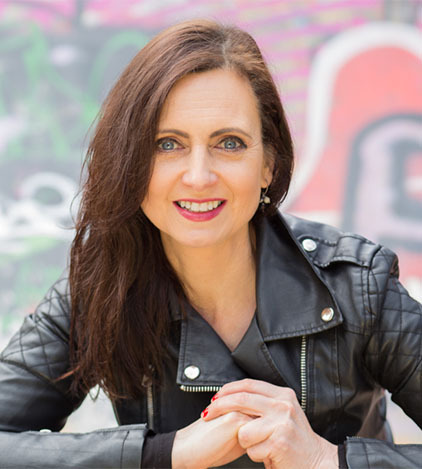 Professor Sarah Niblock is a journalist, broadcaster and author whose scholarly research includes journalism studies, media and cultural studies, visual culture and musicology. She is co-author (with Stan Hawkins) of Prince: The Making of a Pop Icon (Ashgate) and numerous other books, chapters and articles. Sarah’s work embraces reflexivity and closing the theory/practice gap. She is a public speaker on popular culture, with appearances at the ICA, South Bank Centre, Latitude Festival and is a frequent contributor to broadcast and online journalism in the UK and internationally. She enjoys strong links with the Dart Centre for Journalism and Trauma, having reported on major stories such as Hillsborough. She has supervised doctorates to completion and assisted on others in the UK, Australia and Scandinavia. Sarah is on the editorial board of four international peer reviewed journals. NCTJ-trained, Sarah began her career in local and regional newspapers and, while volunteering as a trainer on a project for disadvantaged youth in Liverpool, developed her passion for media education. She has since combined academic work with ongoing journalism practice. Her work has been published in Cosmopolitan, Company, The Guardian, The Independent, The Telegraph and Sunday Telegraph, MTV and other outlets. Sarah has a PhD in psychoanalytical theory and visual culture. She has also subsequently trained in psychotherapy and coaching. He is also the host of ‘The Songwriters’, a television show featuring interviews with inductees into the Nashville Songwriters Hall of Fame. Throughout his career, Paulson has drawn on his background as both a journalist and lawyer, serving as the editor or managing editor of newspapers in five different states. He was on the team of journalists who founded USA Today in 1982 before moving on to manage newsrooms in Westchester County, N.Y., Green Bay, Wis., Bridgewater, N.J. and at Florida Today in Brevard County, Fla. He also is a former president of the American Society of News Editors, the nation’s largest organisation of news-media leaders. 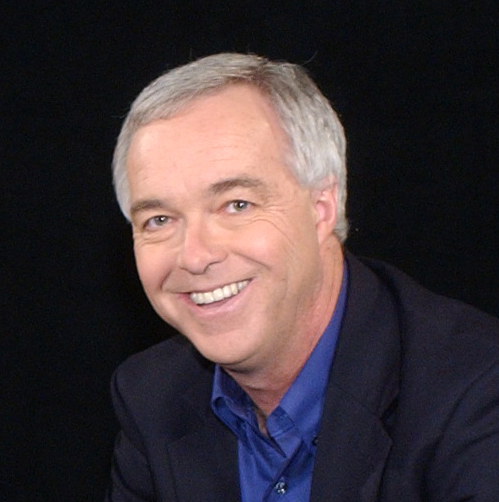 Paulson also was the host of the Emmy-honoured television program ‘Speaking Freely’, seen in more than 60 PBS markets nationwide over five seasons, and the author of ‘Freedom Sings’, a multimedia stage show celebrating the First Amendment that continues to tour the nation¹s campuses. For 12 years, Paulson was a regular guest lecturer at the American Press Institute, speaking to more than 5,000 journalists about First Amendment issues. He was honoured with the API Lifetime Service Award. In 2010 and 2011, he served as chair of the PBS Editorial Standards Review Committee. In 2007, he was named fellow of the Society of Professional Journalists, ‘the highest honour SPJ bestows upon a journalist for extraordinary contributions to the profession’. In 2008, he received the Robert S. Abbott Memorial Award for Meritorious Service in Mass Communications from the Southern Regional Press Institute. He has also been elected to the Illini Publishing Hall of Fame at the University of Illinois. In October 2012, he received the Missouri Honor Medal for Distinguished Service in Journalism. He is a graduate of the University of Illinois College of Law and the University of Missouri School of Journalism. He also has served as an adjunct professor at Vanderbilt University Law School. 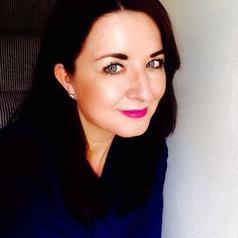 Kirsty Fairclough is Director of International and Senior Lecturer in Media and Performance in the School of Arts and Media at The University of Salford, UK. Kirsty has published widely on popular culture and is the co-editor of The Music Documentary: Acid Rock to Electropop (Routledge), The Arena Concert: Music, Media and Mass Entertainment (Bloomsbury and. Music/Video: Forms, Aesthetics, Media. New York, (Bloomsbury) and author of the forthcoming Beyoncé: Celebrity Feminism and Popular Culture (I.B Tauris) and co-author of American Cinema: A Contemporary Introduction (Palgrave). Her work has been published in Senses of Cinema, Feminist Media Studies, SERIES and Celebrity Studies journals and she has made several television and radio appearances. Kirsty has lectured internationally on popular culture, feminism and representations of women most notably at The Royal College of Music, Stockholm, The University of Copenhagen, Second City, Chicago, Columbia College Chicago, Middle Tennessee State University, Unisinos Brazil and Bucknell University, Pennsylvania. Kirsty has significant experience in international partnership development, particularly in North America and developed the Salford Popular Culture Conference series with international partner universities, including I’ll See You Again in 25 Years, Twin Peaks and Generations of Cult Television: A Two Day International Conference (University of Salford, May 2015) and Mad Men: The Conference (Middle Tennessee State University, May 2016). 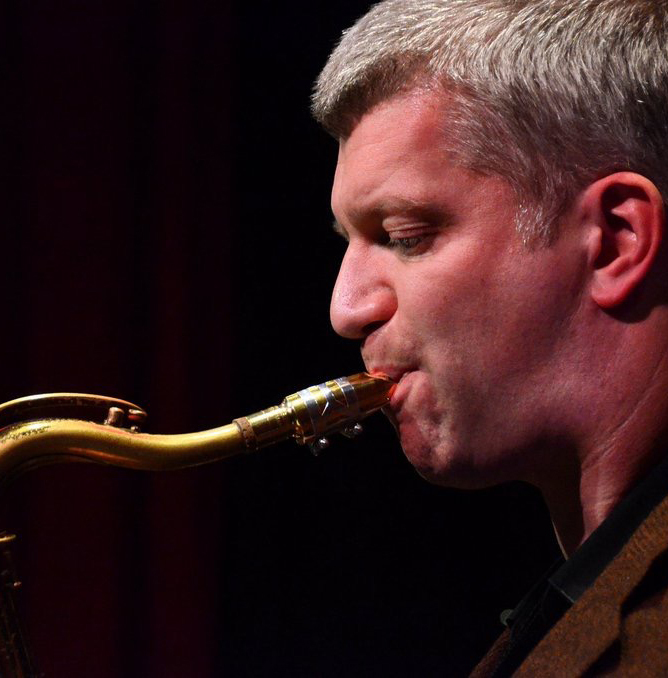 Tim France is a saxophonist and Director of Music and Dance at the University of Salford. The Music and Dance Directorate has nearly 500 students within undergraduate, postgraduate and PhD programmes in the heart of the University’s campus. The New Adelphi building houses some of the most advanced facilities in Europe for the study and practice of music and dance enabling students to prepare for the diverse requirements of the creative industries. Tim has worked professionally for over 20 years and toured extensively throughout Europe and, more recently, in North America. His work has predominantly been freelance/session work across many different genres with artists such as Bryan Ferry and the BBC Philharmonic. He has also been recorded for BBC radio and television including the soundtrack for the film “RKO-281” starring John Malkovich, Melanie Griffith and Liev Schreiber. He is currently working with the John Bailey Quintet who released their first album in 2015 on ASC Records entitled ‘Black Ship Bright Sea’. The band received the Northern Line Ambassador Artist accolade and support for their tour of the same year. The second album was recorded recently with double bass legend Arild Anderson and is due for release with Edition Records later on in the year. A third is scheduled soon featuring Professor Julian Arguelles from KUG, Institute of Jazz, in Graz Austria. 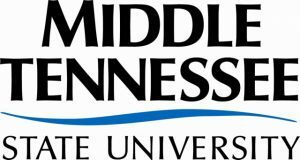 Professor Mike Alleyne has been teaching in the Department of Recording Industry at Middle Tennessee State University (MTSU) since 2000. He is the author of The Encyclopedia of Reggae: The Golden Age of Roots Reggae (2012) and contributing editor of Rhythm Revolution: A Chronological Anthology of American Popular Music – 1960s to 1980s (2015).He has lectured internationally at Linnaeus University in Sweden, the Pop Akademie in Germany, Concordia University in Montreal and at the University of the West Indies in the Caribbean. He has given conference paper presentations on popular music in Denmark, Finland, Sweden, Brazil, Colombia, Cuba, Jamaica and South Africa, among other territories.His articles have been published in Popular Music & Society, the Journal of Latin American and Caribbean Studies, Rock Music Studies, The Journal on the Art of Record Production, The Grove Dictionary of American Music, Popular Music History, Social and Economic Studies, Small Axe and Billboard magazine. 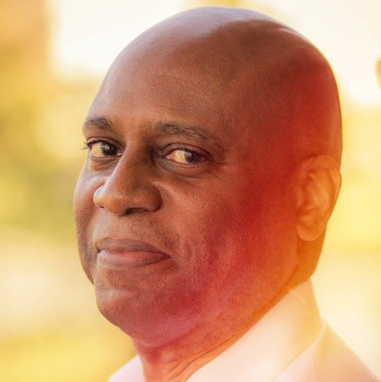 In addition to his numerous academic publications on popular music including book chapters, London-born Prof. Alleyne was also a consultant for the estate of Marvin Gaye in the 2015 copyright infringement trial involving the 2013 hit song “Blurred Lines.” He has contributed track notes to the forthcoming CD collection, The Smithsonian Anthology of Hip-Hop & Rap, and is currently writing a book on Jimi Hendrix due for publication in 2018. His areas of specialization include the history of album cover art and graphics and the commercialization of reggae and Caribbean popular music. Prof Alleyne’s research interviewees have included producer/guitarist Nile Rodgers, rap veteran Chuck D of Public Enemy, and pop superstar Phil Collins. His involvement with popular music also includes roles as a writer and publisher member of ASCAP (American Society of Composers, Authors & Publishers) and PRS (Performing Right Society). Your full conference ticket will include access to the full programme of events below, with lunch and refreshments included throughout the conference. Wednesday evening: A drinks reception at the New Adelphi Building, University of Salford, for full conference delegates. Followed by a Q&A with Dez Dickerson hosted by Ken Paulson (Dean of the College of Mass Communication at MTSU, President of the First Amendment Centre and former editor-in-chief of USA Today). Attendees that have booked for the £12 Dez Dickerson tickets will not be entitled entry to the full conference ticket holder drinks reception. Thursday and Friday: A two-day conference at The Lowry Theatre and University of Salford, MediaCityUK. Thursday evening: A screening of Under The Cherry Moon at HOME, Manchester. Friday evening: A closing party with live performances at University of Salford, MediaCityUK. Click here to view a detailed breakdown of our speakers and their abstracts. 7:00pm: Keynote address in Peel Hall. MTSU’s Ken Paulson interviews Dez Dickerson. 9:15am: Keynote address from Dr. Sarah Niblock (University of Westminster). Royal Rivalry and the 1980s Crossover Debate: Prince, Michael Jackson, and the Politics of genre. Prince + Fans = A Rock and Roll Love Affair! Man of mystery and ‘Baaad Boy!’ Prince, the representation of male pop stars and the discourse of girls’ magazines of the 1980's and 1990's. Take This Beat: 1987 & the brilliant band with no name. Creative Dramatics and the Beginning Actor: How three months of creative play freed Prince and the Revolution to make the greatest rock and roll movie of all time. 'I’ll Paint a Beard on the Mona Lisa Even Though It’s My Favorite Jaw': The revolutionary careers of Prince and Marcel Duchamp. Former Stone Roses guitarist Aziz Ibrahim, pop culture commentator Karen Gabay and University of Salford's film expert Andy Willis discuss Prince's legacy in the music and film industry. After the conference and industry panel, you will be accompanied to HOME (Greater Manchester Arts Centre). Here, you will watch a screening of ‘Under the Cherry Moon’. New Power, Sexuality and Emancipation: The revolutionary queerness of Prince through a Foucauldian lens. We Can’t Hate You, Because We Love You: An examination of Prince, misogyny and queerness. The Dream We All Dream Of: Nonhuman blackness in Prince’s "U Got the Look"
Purple Reign is based over three sites at the University of Salford’s main campus, MediaCityUK (The Lowry and our MediaCityUK campus) and HOME (Manchester). All of the conference locations are very close to a tram/train station and other major transport links. Our friends at Hotel Football are offering a special offer to delegates attending Purple Reign. Overlooking Old Trafford football stadium, the home of Manchester United, Hotel Football is just a 10 minute drive from both MediaCityUK and Manchester city centre. An exclusive rate of £129 bed and breakfast between 24th–27th May is redeemable by using the code SUNI2405. Marketing Manchester Convention Bureau is an official accommodation provider for Purple Reign Prince Conference 2017. Click here to book accommodation for this event. Negotiated delegate rates will be available to book until the end of the day on 26th April 2017, so please book as soon as possible to guarantee a room. If you require accommodation beyond this date or you have any queries about the website, please contact Visit Manchester.